Research shows that engaging students in science, technology, engineering and math (STEM) learning outside the regular classroom has a profound impact on shaping students’ attitudes toward STEM subjects and their future career goals. 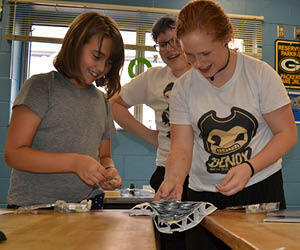 With funding from the U.S. Department of Transportation and collaborations with other Nebraska partners, the Mid-America Transportation Center (MATC) developed an innovative transportation engineering after-school club. The program was titled “Roads, Rails, and Race Cars” (RRRC) and piloted at a middle school in Lincoln, Nebraska in 2010. 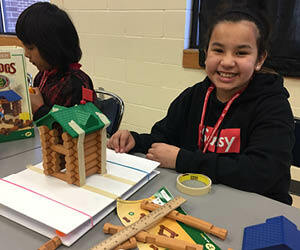 Led initially by one middle school science teacher and two MATC graduate student mentors, in conjunction with the Community Learning Centers programs in Lincoln, students learned about engineering and transportation through hands-on lessons and activities that encourage student inquiry. Over the years, the expansion moved beyond the borders of Lincoln to include Omaha, Nebraska; Boone, Iowa; and Madison, Wisconsin. RRRC takes place at historically diverse schools in an effort to promote STEM education and careers among underrepresented populations. 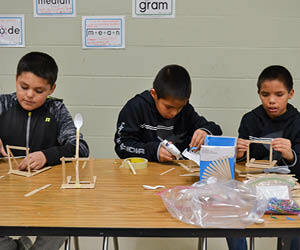 MATC currently partners with tribal schools in Nebraska to expand the after-school program to Native American students in Macy, Winnebago, and Santee. Each participating school offers the program for an hour every week. Mentors and industry representatives present on engineering or transportation-related topics and lead students in an interactive activity that encompasses the concepts of the lesson. The curriculum is developed collaboratively by UNL faculty, MATC staff, local teachers, and undergraduate student mentors. MATC continues to offer the after-school program in the summertime at participating schools and leads lessons at various community youth programs by request. To view and download the free STEM lesson plans that have been developed by Summer Institute participants, for grades 6-12, please click here.